When Snapchat first appeared onto the scene with its cute filters and funny faces, it was perfectly suited for a younger audience. With its target market set at people between the ages of 13 – 34, it has a wide range of users who drive the latest trends. It didn’t take long for businesses to take notice of this fact and start figuring out how to use Snapchat for business marketing to target a larger audience. If you’re on Snapchat, you may have noticed that sometimes a frame appears on your filters that promotes an upcoming movie or a new shampoo. If you take your picture with it, you're marketing that product for the company to every single person who opens that Snap. Don’t you want that kind of reach for your own product? Here, Virtual Market Advantage will go over some ways that your small business can tap into the new world of marketing on Snapchat! As you start your marketing campaign, make sure you’re aware of your followers – pay attention to what they’re doing and sharing on Snapchat. Knowing your followers well allows you to make your Snaps for your business more about them and their interests. This will draw in a bigger audience and engage your potential customers in a more personal way. Contests are a great way to engage current followers (and have them do some of the marketing for you!) Ask your followers to Snap a picture with them holding or using your product. This will help reach all of their followers and spread awareness of your brand. If you ask them to share your product, make sure you offer the chance to win prizes and giveaways. Otherwise, your tactics will seem desperate and unappealing. This is a simple way to promote your product and get your followers’ friends to try your product as well. If you share something with your Snapchat followers that non-followers can’t access, it will make them feel special and more personally connected to your business. This exclusive content could be something like unveiling a new product before it hits the shelves, giving them a behind-the-scenes peek at a show or product facility, or asking their opinion on how to improve your product or what you should offer next. Make your followers feel like an exclusive part of your business and that they as customers really matters to you. Videos are a great way to spread content and improve SEO, so a lot of marketing companies are focusing on videos to market their products. This is a great idea, but remember that your audience on Snapchat prefers real, unscripted moments. Keep your videos short, honest, and impromptu. Your users will be more likely to enjoy the content, share it, and promote your product for you if they feel like they’re watching a real moment happen right in front of them, rather than a perfectly scripted commercial. This type of promotion really shows that you trust your customers and enjoy the experiences they have with your product. Some companies let another person take over their Snapchat for the day. This puts your product out there on the streets with a real person who is just sharing their day with your product in tow. This is a great way to promote your product, since it shows a person, just like your other potential customers, out there using your product. It gives your audience a new perspective, and the new person in charge will probably come up with ideas that you’d never considered before. Having someone take over your Snapchat could be just the thing that pushes some on-the-fence customers into going ahead and buying your product. There are plenty of fun filters that turn you into cute animals or add whimsical flowers to the background, but there’s also a real draw to company-sponsored targeted filters. Companies can promote movies, soaps, coffees, or any other product this way. 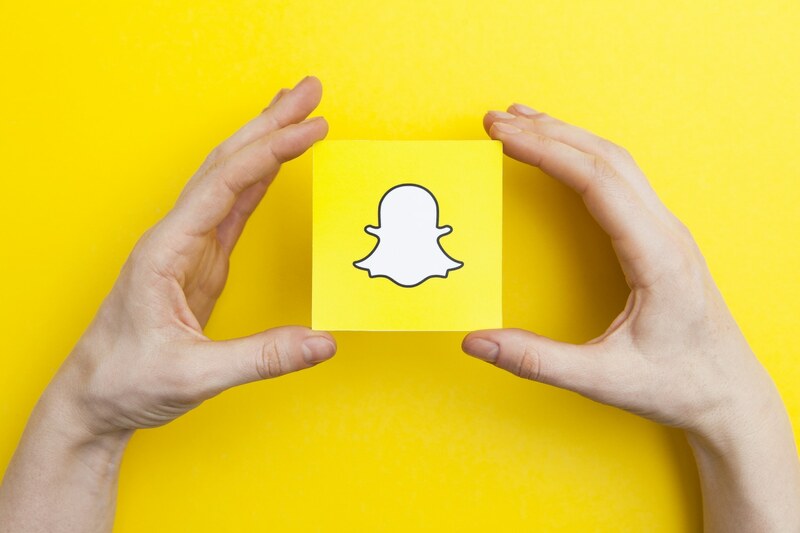 It’s been proven that when a popular company sponsors a great filter, there’s an increase in downloads and uses of the Snapchat app, but small companies can benefit from these tactics as well. This is an inexpensive way to promote your product and spread awareness to more people on Snapchat than just your followers. It’s important to know where your users spend most of their time on social media and what they’re doing while using it. If you find that a large portion of your customer base is on Snapchat, there are plenty of ways to reach out through the platform. Getting to know your target audience will not only help you spread your brand awareness, but it can also save you money on guessing where to spend your marketing budget. Snapchat is a growing community that’s incorporating more and more marketing into its app. It may be time to look into how to use Snapchat for business marketing for your company! If you want more information on how to deal with social media and your business, check out VMA’s other blogs. This one goes over how to prepare your website in case something goes viral.